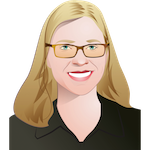 Melissa Hanham is a Senior Research Associate at the James Martin Center of Nonproliferation Studies and the META Lab of the Middlebury Institute of International Studies. Her regional interests include the denuclearization of the Korean Peninsula, North Korean WMD procurement and proliferation networks, China’s nuclear posture, and East Asian security. She also studies Chinese, South Korean, and Japanese nuclear exports, as well as East and Southeast Asian export control systems. Melissa also investigates new techniques in open source geospatial analysis, incorporating imagery and other remote sensing data, large data sets, social media, 3D modeling, and GIS mapping. She teaches “Open Source Analysis for Nonproliferation Studies” at the Middlebury Institute of International Studies. 2016 Open Ended Working Group: Towards 2017 Nuclear Weapon Ban Negotiations? Friendly editor here! This is my mistake, and I have updated it.